September 17, 2004 / Steve Peters / Comments Off on What is Project Gateway?? A few mysterious websites have cropped up that are causing some ARG’ers to scratch their heads. Things seem rather game-like, but frankly it’s may just be a little early to be able to tell exactly what’s going on. We submit it here for your consideration (cue Rod Serling in the corner along with obligatory creepy music). This site provides the trailhead, a literal gateway into a realm of clues and locked up cells. The page beckons: “CC32 Gateway – Insert Front Door Key To Continue,” and somehow this site has led to two others: Project Gateway and 32nd Notes. Beyond that, we really can’t tell you much, beyond the fact that a certain amount of caution is advised, due to every ingame site so far being hosted on a free webserver of some kind. As always, proceed at your own risk. In Ilovebees news, players continue to strive for the 777 connected axons mark, having succeeded in answering 728 of the 777 needed phonecalls to proceed to the next step in the game, whatever that holds in store. Notably, the game’s first non-U.S. phone has been revealed in London, enabling British “Beekeepers” to get involved with this live interaction for the first time. With only 49 phonecalls left to go, we should find out what the next chapter in the ilovebees saga is within the next few days. 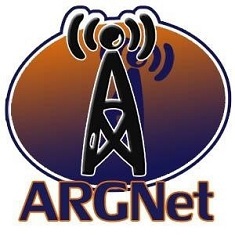 In the meantime, ARGN has set up a repository for all of the audio files found so far. It’s a great way to get quickly caught up on the major plot of the game, and you can access it here.